Sony has now confirmed the firmware release schedule for the new features we announced last month. See below for a list of all the features and when they are to appear. 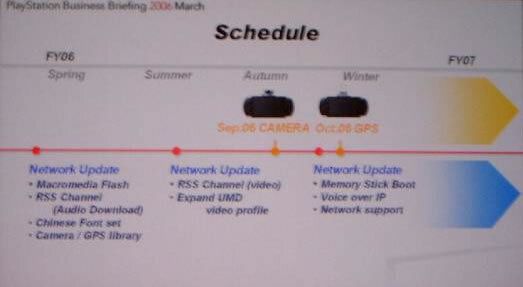 The Camera will be released on September 6th while the GPS will be released on October 6th. The above will be a downloadable update so you can update your psp no matter how old it is.